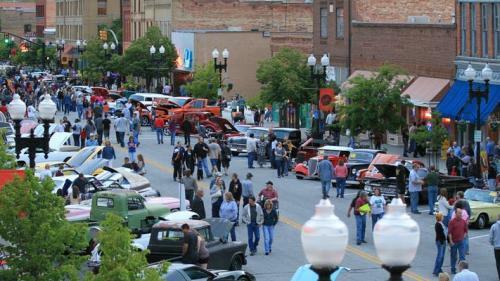 The Historic 25th Street Car and Motorcycle Show is an open show with no categories or classes. It typically draws more than 300 vehicles. 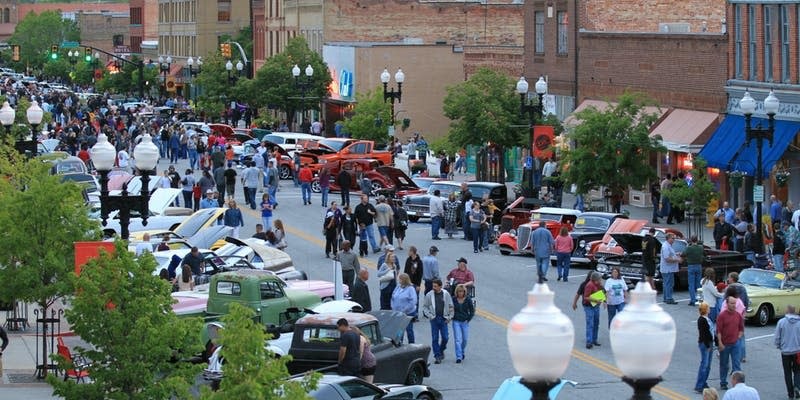 Over 30 winners are selected by sponsors, business owners, and Ogden City officials. The street is closed from Wall Avenue to Washington Boulevard beginning at 3:00 pm. The street is opened to traffic after the awards are presented at about 8:45pm.Please note that space is LIMITED and as this event has continued to grow we are now requiring pre-registration for all participating vehicles. NO ON-SITE REGISTRATION WILL BE OFFERED.The show takes place in conjunction with the monthly Art Stroll. The local shops and galleries extend their hours of operation and many display their wares on the sidewalks. Participants can dine in any of the more than 15 restaurants that are located on the street.